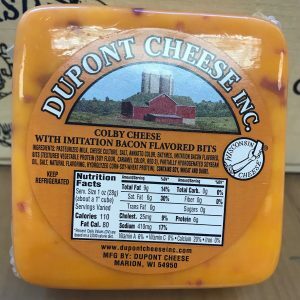 Cheddar cheese is a relatively hard, off-white, or sometimes orange natural cheese. 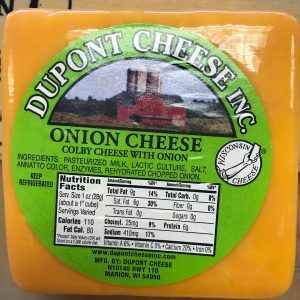 Cheddar cheese is the most widely eaten and purchased cheese in the world. 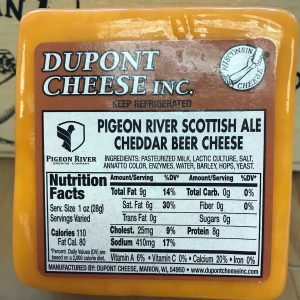 Cheddar cheese is always made from cow’s milk and ranges from a fairly mild taste to what some consider a very sharp taste. 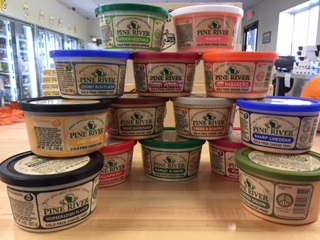 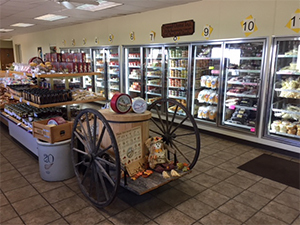 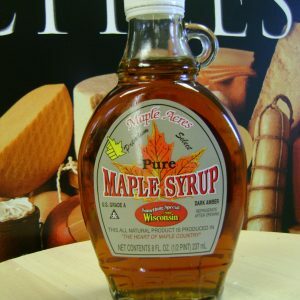 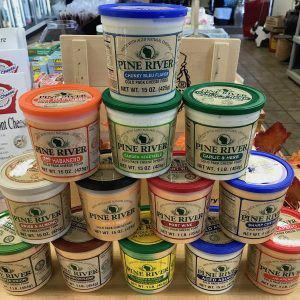 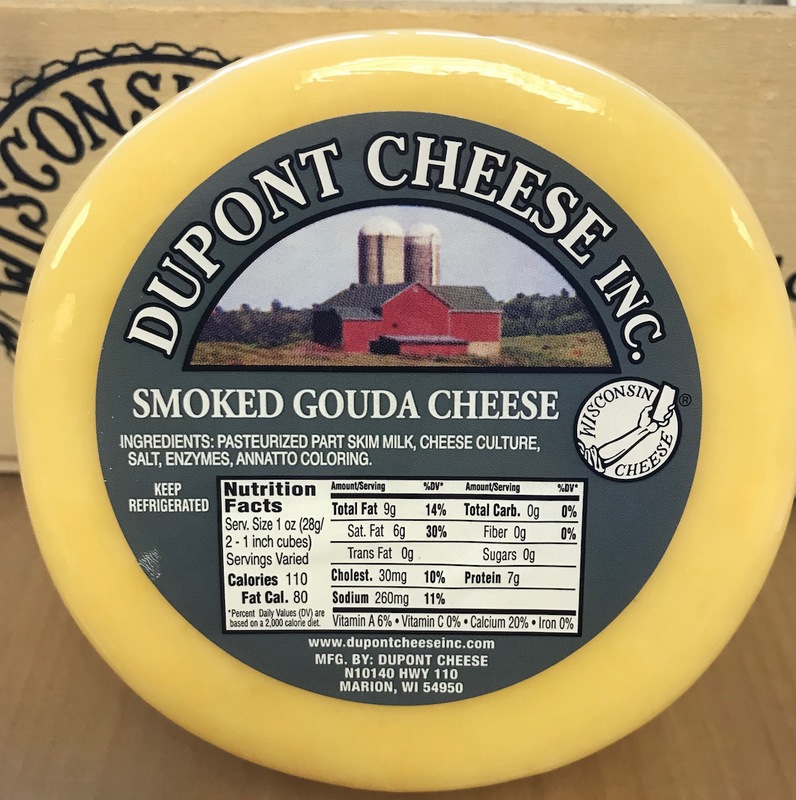 Dupont Cheese Inc has a wide variety of specialty cheeses available. 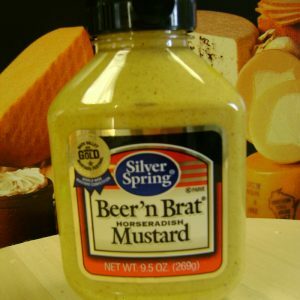 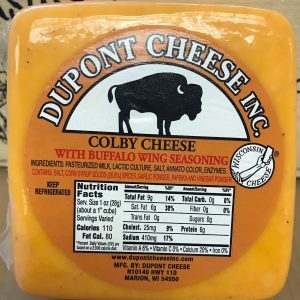 Some of the choices of specialty cheeses include Colby, Brick, Monterey Jack, Swiss, Provolone, Romano, Parmesan, Feta, Blue, and even Limburger. 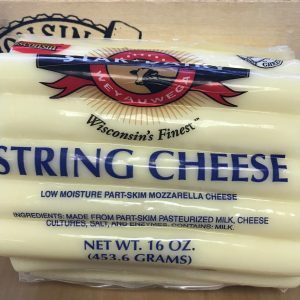 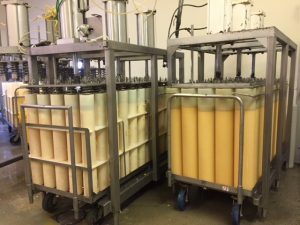 String Cheese is a different type of cheese where the manufacturing process aligns the proteins in the cheese; making it ‘stringy’. 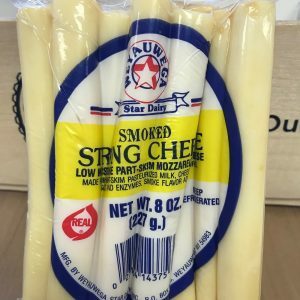 String Cheese is a very easy, healthy and delicious snack for both kids and adults. 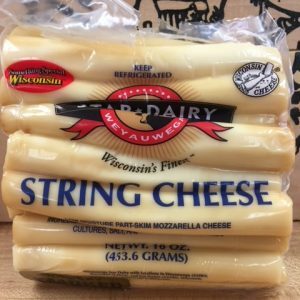 Cheese curds are the solid pieces of curdled milk that are eaten alone as a snack or are used in dishes. 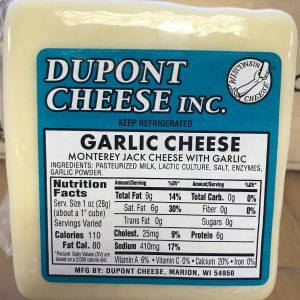 Curds are mild in flavor; but they can differ in taste depending on during what type of cheese processing they were made. 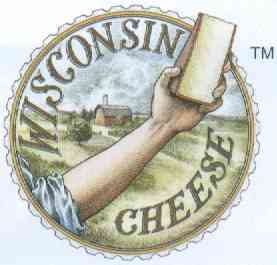 Curds are very comparable in density and firmness like cheese; however, they have a rubbery or springy texture. 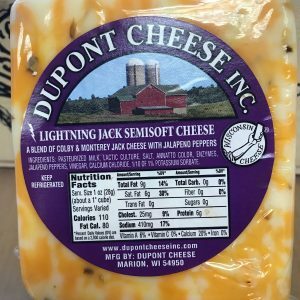 Fresh curds tend to ‘squeak’ against your teeth when you bite into them. 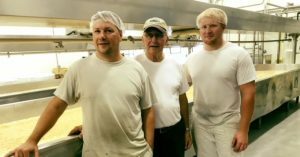 Our famous, squeaky, fresh, Wisconsin Cheese Curds are made every Thursday & Friday morning. 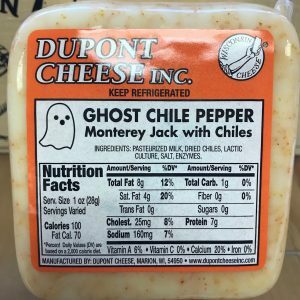 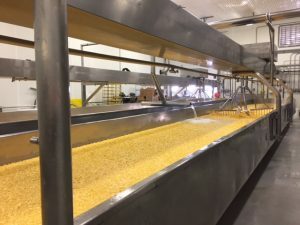 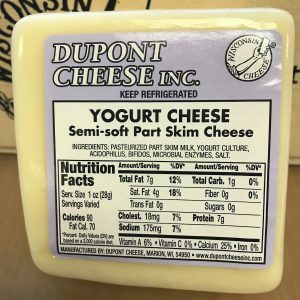 Dupont Cheese Inc. in Marion, Wisconsin, is conveniently located right on Highway 110 just 5 miles south of town and 7 miles west of Clintonville. 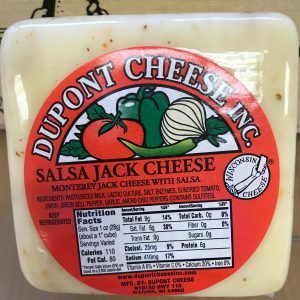 We have been making some of the best tasting, highest quality, cheese found anywhere for the past 48 years. 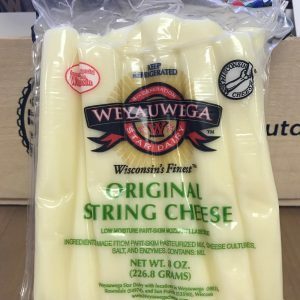 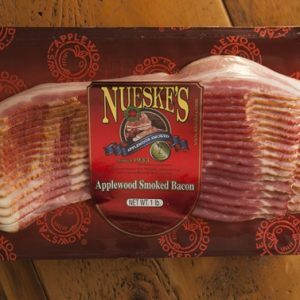 A gift of Wisconsin cheese is always special; it’s a perfect, easy and practical way to celebrate anniversaries, birthdays, holidays, or any other special occasion. 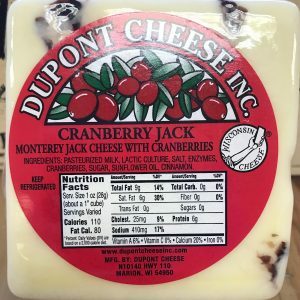 Cheese is also a great way to say ‘Thank You’.